Education:In 1984 – graduated from academican Y.A. Buketov Karaganda state university in specialty “Kazakh language and literature. 2015 – graduated from academican Y.A. 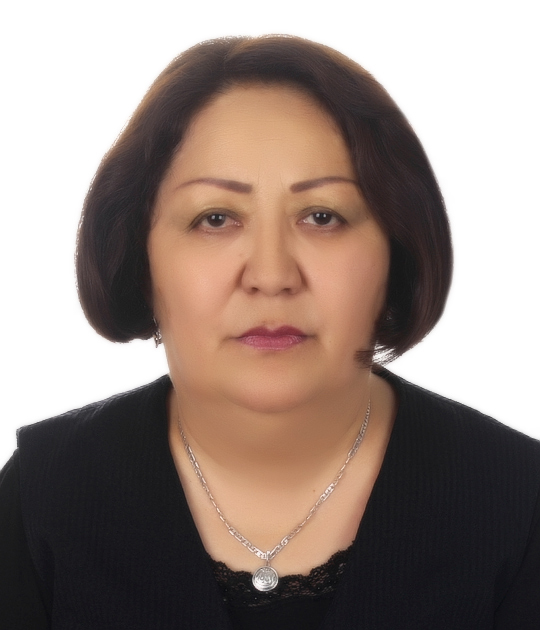 Buketov Karaganda state university in specialty “Kazakh language and literature” (qualification: master of pedagogical sciences).Length of work at KSTU: 30yeares.For many years worked as the deputy dean of transport and road faculty. At present – the head of training center “Serpin-2050″.4 textbooks, 16educational and methodical textbooks, 4 electronic textbooks,12 electronic learning tools, 20 scientific articles are published. Was awarded with certificate of honor of the Ministry of Education and Science of the Republic of Kazakhstan and with letters of gratitude and also with award pin “Eren ebegiі ushіn” to the 60th anniversary of the university, “Mangilik el zhastary-industiyaga – “Serpin” and letters of gratitude of rectorate.